End your night on a high in our magical Wedding Barn, as we transform the space into the perfect party room so all your guests can celebrate in style with you. After the meal and speeches, it’s time to get the party started. You and your guests will make their way through to the Wedding Barn which has been magically transformed while you have been dining. We make sure your day flows seamlessly without any disruption so there’s no time wasted sitting around and more time for dancing, laughter and unforgettable moments. 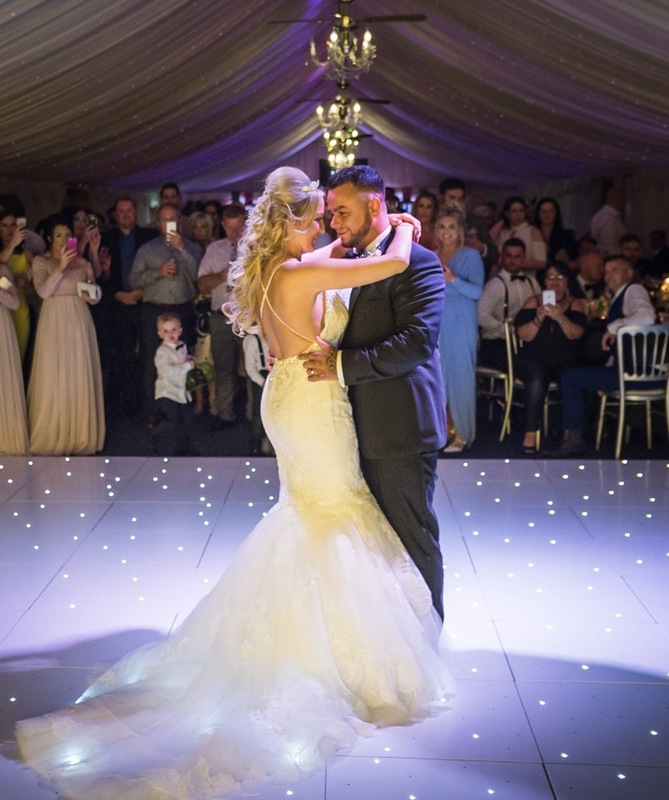 Whether you want the evening to be centred around your first dance, cutting the cake, enjoying the bar or socialising with friends and family, we will make sure all of your plans come together. We can move your table decorations and cake through to the evening room to continue the theme and ambience of your wedding, and get all your evening guests involved in the celebrations. With the bar located at one end of the room with comfortable sofas and seating, and the dance floor at the other, there is no separation of areas for your guests to divide into. Family and friends can mix and mingle, older relatives can rest their feet and the dancers can show off their moves. It keeps the evening celebrations together and means your party continues with a bang! 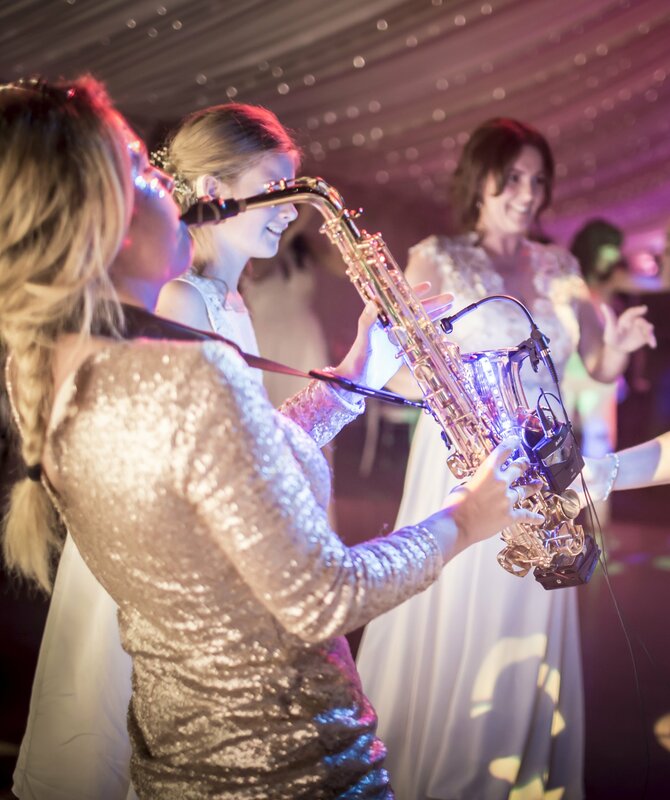 With the option of live bands and a DJ, and plenty of space for props and fun activities, you have the choice between pulling out all the stops or keeping it simple and elegant! 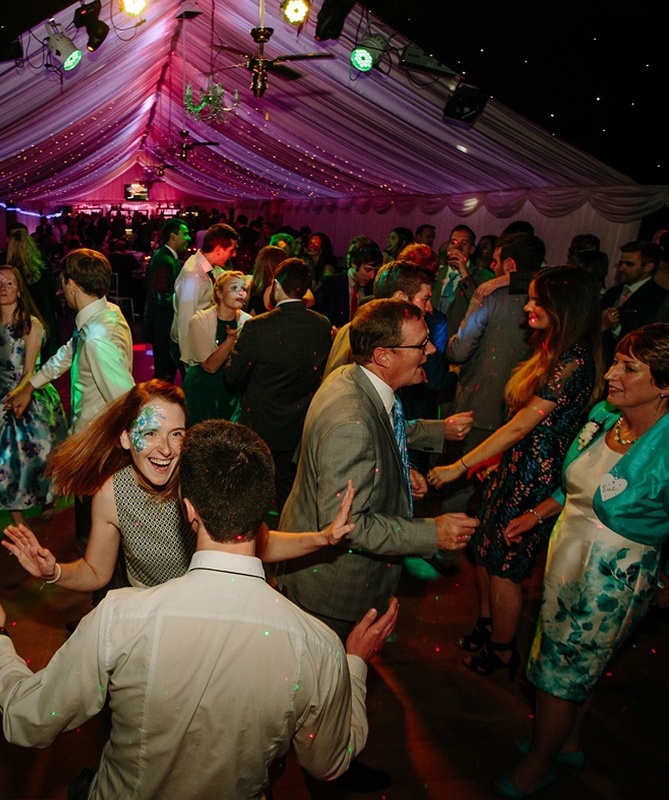 We’re one of the best wedding venues for live music, as the stage and lighting can be provided at no extra charge, there’s no excuse not to party the night away! How will your dream wedding end?